Who says video games have to be an intense experience that keeps you on the edge of your seat the entire time? Of course, playing through an intense FPS 6 Awesome FPS Games For Your Browser 6 Awesome FPS Games For Your Browser First-person shooters are popular, but most games require installation. If you need a quick FPS fix, check out these six awesome games that work right from your browser. Read More like Call of Duty Doom Vs. Call Of Duty Modern Warfare - Just How Far Has The FPS Come? Doom Vs. Call Of Duty Modern Warfare - Just How Far Has The FPS Come? First person shooters have been at the forefront of game development since their first incarnation over two decades ago. They combine adrenaline-soaked action with a perspective that provides a great stage for technology; first-person games... Read More is fun when you’re in the right mood, and a horror game 4 Video Games That Will Actually Terrify You [MUO Gaming] 4 Video Games That Will Actually Terrify You [MUO Gaming] Video games are able to capture much of the emotion and feeling that comes with movies and other forms of entertainment. That being said, video games always seem to struggle with making people laugh and... Read More like Resident Evil can hit the spot at certain times, but sometimes you want to kick back, relax, and play a game that soothes you. Some games seem to be designed with relaxation in mind. While most game developers build games to enthrall gamers, some break the mold and do away with all that crazy action in favor of interesting mechanics that, while relaxing, are still fun. It’s a narrow line to walk, as it’s easy for a game to become boring without a lot of action, but when the stars align just right, a video game can offer tons of fun with gameplay that soothes instead of excites. Flower is a beautiful example of a game with minimal gameplay that barely toes the line between relaxing and boring. For some players, it might even cross that line, but when in the right mood, sitting down and playing around with Flower can put you in a truly happy place. The gameplay in Flower simply involves controlling the wind to blow a flower petal through the air. Because the gameplay is so simple, the developers were able to focus on the sound and visual design, and they nailed it. Is this the kind of game you are going to want to sit and play for hours on end? No, but after a stressful day, hanging around and enjoying some Flower can be the perfect way to take the edge off. LBP is not necessarily relaxing by nature, as it’s a platformer with some weird physics that can end up being frustrating. However, because the game is full of user-created content, you can find enjoyable and relaxing levels. To support the relaxation, the music in the game is incredibly soothing. This applies to all versions of LittleBigPlanet, including the portable iterations. Keep in mind that playing through the single player mode might lead to a bit of frustration, but as long as you choose the right levels, this game can soothe the soul. Additionaly, for some personality types, just kicking back and building your own levels can be soothing, as long as you don’t take it too seriously. What better way is there to get some relaxation than by taking an African safari and photographing some beautiful animals? Afrika was a highly anticipated PS3 game leading up to its release, but it did not come out to much fanfare. Still, it’s a beautiful looking game that does not get gamers’ nerves up while playing because there is no violence or anything happening to get the heart rate up too high, although there are some rare moments of intense action. The list of animals to photograph in this game is massive, and in spite of some of the problems the final release of the game had, it’s still pretty fun. The game is mission-based, so it’s not like a free-for-all sandbox, but as long as you don’t get too caught up in the objectives, the game can still be plenty soothing. If you think back fondly to Pokemon Snap, you just might love Afrika for all the same reasons. While not as soothing as Flower, which is from the same company, Journey still brings out the peaceful vibes as the player wanders through the beautiful world. The dynamic music featured in the game helps add to the experience. In many ways, Journey feels a lot more like a work of art than a game. It’s just beautiful in every single way. The multiplayer in the game actually adds to the relaxation. Instead of knowing who you are playing with, another player is randomly thrust into your world with no method of communication other than a button in the game. In spite of this lack of communication, you start to feel a connection to that person. Instead of the smack talk you see so often in multiplayer games, you get a relaxing and cooperative experience, which is something you just don’t see enough in gaming. If you are sick of violent games that make your heart race, these games should be perfect for you. Each of them brings something interesting to the table, and each one just might soothe you in a way you never thought a video game could. I should also mention that open world games can be great for relaxing, as long as you avoid combat. Exploring a place like Skyrim can be a joyous experience if done correctly. What games relax you the most? Hit the comments section below and let us know! Most scenes from the Myst / Riven / Exile series (except some barely fast playing ones). The atmosphere of solitude and wind sounds of those games was to me both relaxing and engrossing at the time. The Polynomial is very relaxing to me. Just set the difficulty to "None". Oh, and it's on sale in Steam until Tuesday. Proteus. You know, that game where you are the island. 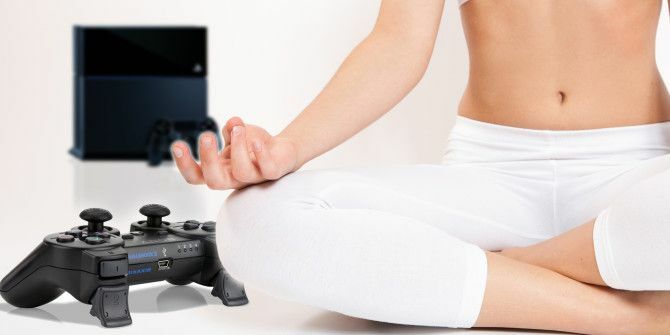 About time, an article on peacefulness in gaming. Should definitely give Proteus a try: http://www.visitproteus.com/ I think it's on sale in the Steam summer sale as well. I was surprised not to see Proteus here, too! Was in the most recent Humble Bundle and it is absolutely excellent.